Chennai Corporation has set up camps to assist differently abled voters to include their names in the voters’ list. As a move to ensure that they do not face any challenges, the civic body has also introduced helplines to make sure that they can cast their vote without any hassle. People can call 9445477699 to request for assistance. The corporation has set up 3,754 polling booths in 913 locations with facilities such as wheelchair, stretchers, Braille and other required features to assist the specially abled people to cast their vote. With the ongoing beautification drive, Elliots beach gets a new makeover with wider jogging paths and anti-skid tiles. Schmidt’s memorial has already got a fresh look and now lights and information boards surround the memorial with security men keeping a watch to prevent any writing on its walls. Garden umbrellas, trees, and flower gardens give it a fresh look while disabled-friendly granite ramps make it an inclusive public place. Water kiosks and a first-aid station have also sprung up on the sand. The Chennai Corporation has begun the restoration of natural tanks on trial basis in Koyambedu, Mylapore, Chitra Nagar and Mambalam. The civic body has partnered with 100 Resilient Cities along with the Dutch Embassy, experts from fields of urban design, water conservation and social engagement to identify and restore natural tanks including ponds, temple tanks and other small water bodies within these areas. Meanwhile, the PWD department has commenced maintenance work at the four reservoirs at Chembarambakkam, Red Hills, Cholavaram and Poondi to desilt and strengthen the banks. 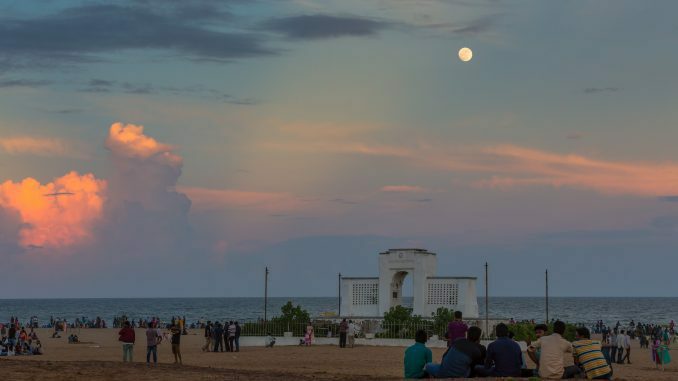 Desilting, deepening and other civil works are done once in eight to nine years; once certified for completion, the same work will not be undertaken for the next 5 years. Chennai Metro Rail has opened its doors to retail shops including food outlets to set shops in its stations across the city. CMRL is looking at around 300 shops in three months across the 32 stations. This will help commuters to quickly order and grab food on the go before they hop on to the metro rail. With Central Metro being the more popular station with over 8000 passengers boarding trains from here, CMRL officials expect more retail outlets here. Meanwhile, 14 underground stations have been given platinum ratings by the Indian Green Building Council for adopting green building concept. Earlier, CMRL was awarded with the same rating for 13 elevated stations and five underground metro stations. With the new award, all the 32 stations in phase 1 have become compliant with the green building standards. 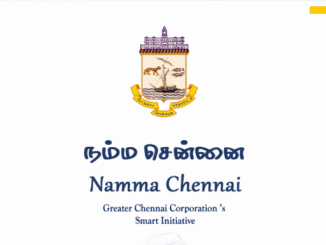 Chennai Corporation is working on bringing pet shops, breeders and pet clinics under regulation. Soon, the civic body will release a list of registered pet shops and related clinics online, and also on the Namma Chennai app. Several pet shops, boarding places, and pet clinics have sprung up in the city in recent times while data with the corporation shows that there are only two registered businesses for trade licenses under the pet animals category. The health department is working to frame guidelines for these businesses, after which the list will be made public. With only 28% work on the Rs 64-crore flyover project completed, the Keelkattalai flyover had hit a stumbling block when the contractor was terminated. However, work has now resumed and the highways department has set a new deadline of March 2020 for completion of work. The Highways Department will be writing to the traffic police seeking permission for changes in traffic movement during the period of construction of the spans. Each flyover will be 700 m in length with 17 spans. 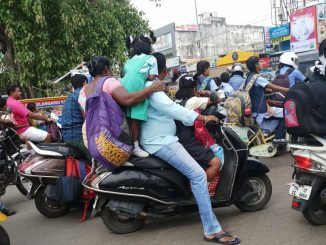 Chennai Buzz : Helmet compulsory for pillion riders, city’s poor vehicle emission score, new look for 100+ police stations, and more! Did you have a busy week? in case you did, here is a quick round up of some key civic developments from last week! 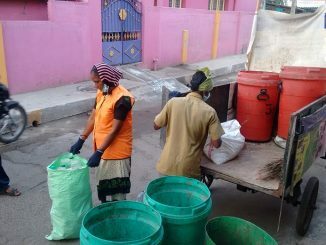 Under new system, contractor payments will be based not on quantity alone but on more holistic indicators such as segregation, collection and cleanliness of bins and streets, says Commissioner D Karthikeyan in a freewheeling chat with Akshatha M.
Recognition for efforts towards ‘swachhata’, more teeth to the plastic ban and focus items in Corporation budget for 2019-20 — stay abreast of the latest news from the city in our weekly recap.